A CHEMICAL TANKER is being towed to the French port of Brest this morning after it collided with a freighter last night, causing the ship to be abandoned by crew. 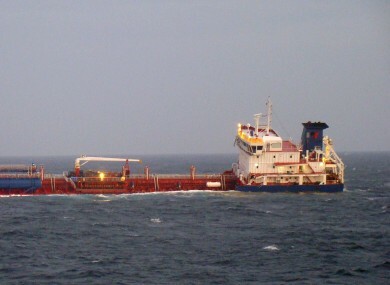 The Maltese-flagged Uranus tanker was carrying thousands of tons of a heavy type of gasoline in the English channel when it was hit by another tanker travelling in the same direction. A statement from a spokesman from the French transport ministry confirmed that the ship’s cargo was heavily flammable, but that the situation is under control. Email “Chemical tanker brought to Brest after collision ”. Feedback on “Chemical tanker brought to Brest after collision ”.